Much expected Android version, after kitkat now its the time to taste Lollipop. 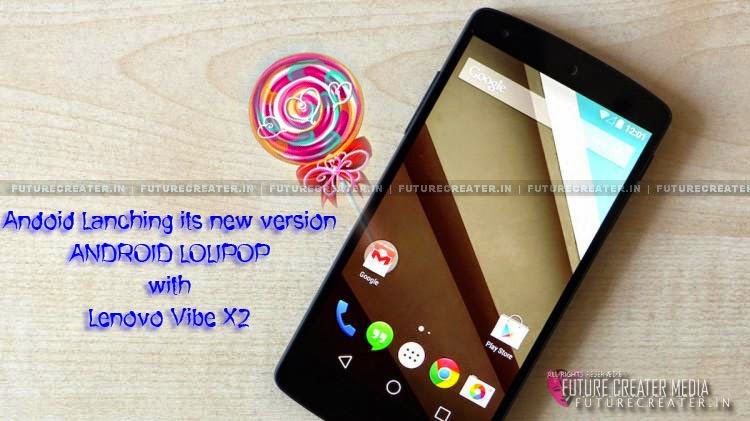 Lenovo hinted that the Vibe X2 will be running on the next-gen Android Lollipop operating system. The Chinese company also poked fun at Apple's recent unveiling event invitation that states, "Wish we could say more". Lenovo responded with the message, "We can't say anything either". And Apple is scheduled to host an event on Sept. 9, showcasing its newest devices. This year's more highly-anticipated Apple products include the iWatch and iPhone 6. And the techies says that the Lollipop version of android is mainly looking forward to give better battery life to the android products. According to the latest news, the Lenovo Vibe X2 has two variants. The first may have the Media Tek MT6596M octa-core processor, while the second may possess the slightly downgraded 2.2 GHz Intel SoC. Two versions have a 5-inch display with 1080p resolution. And in according the memory factor, the device may have 2 GB RAM and 16-32 GB of internal storage. The Lenovo Vibe X2 may also have a 13-megapixel rear camera with LED flash. And it may also hope to have a ‘selfies’ front camera of 5-megapixel.